Amazing Woman: Is It Descriptive or Is It a Trademark? 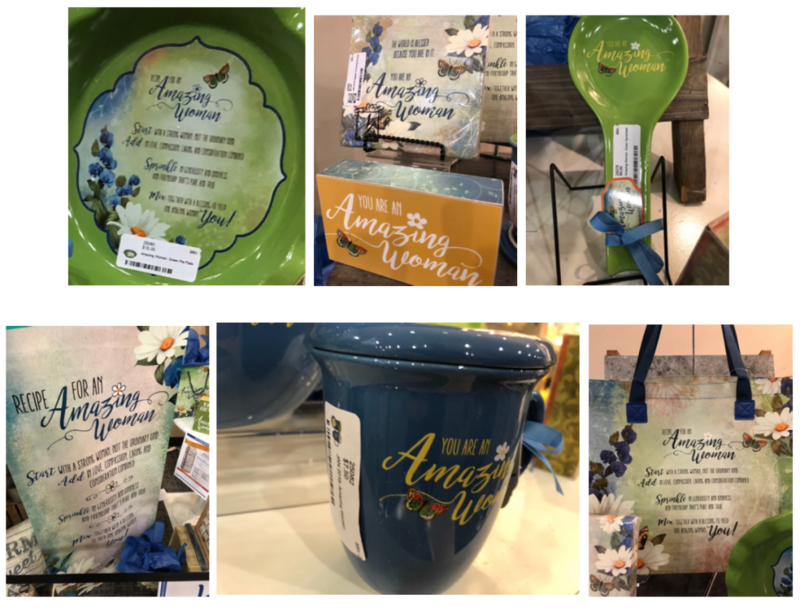 Cathedral Art Metal Co, Inc. sued Nicole Brayden Gifts, LLC for trademark infringement arising from Brayden’s use of the term “Amazing Woman.” The Complaint alleges Brayden’s use of the term on a plate shown below is infringing. Before getting to Brayden’s plate, let’s count the ways that Cathedral’s use of “Amazing Woman” on this plate (left) is not a trademark use. Yield: one terrific, and amazing YOU! Ask yourself, does “amazing woman” on this plate standout as a trademark? No. A reasonable consumer encountering that plate would not think that “amazing woman” is used to indicate a source of goods. Everything on that plate signals that “amazing woman” is used descriptively to describe how to purportedly “yield” an amazing woman. The threshold issue for asserting trademark infringement is that the plaintiff has trademark rights. How do you obtain trademark rights? By using the mark as a trademark (or filing an intent to use trademark application and then using the mark as a trademark). 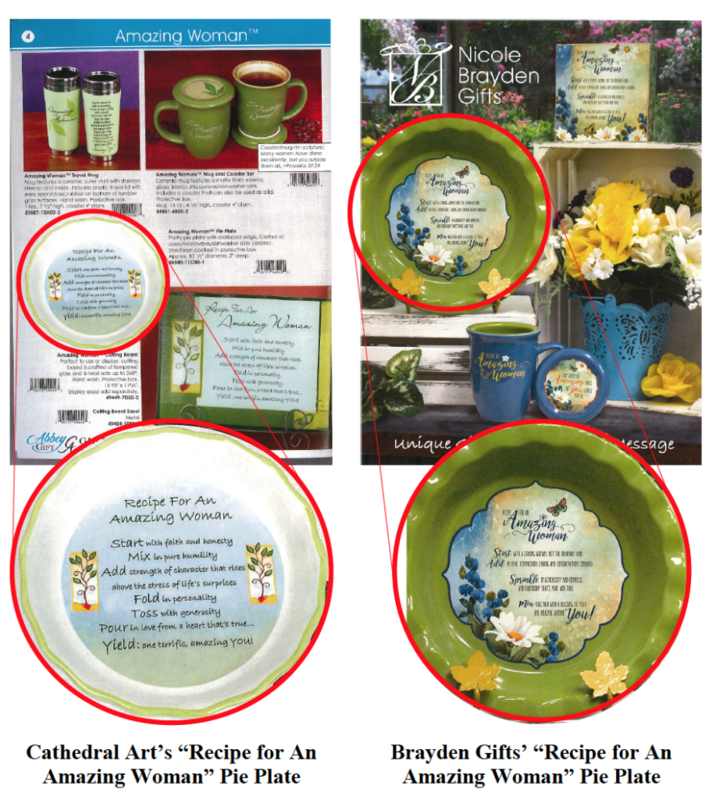 Maybe Cathedral uses Amazing Woman elsewhere in a trademark manner, such as in its catalog, but it does not on this plate. Start with a strong Woman; not the ordinary kind. Add in love, compassion caring and consideration combined. Sprinkle in generosity and kindness and friendship that’s pure and true. Mix together with a blessing to yield one amazing woman. You! Cathedral also claims trade dress infringement. The complaint describes the trade dress as including “a stylized presentation of the mark AMAZING WOMAN disclosed against a background of soothing distinctive colors, initially featuring a soft green-and-blue color scheme.” But the plates do not look that similar even setting aside the issue of whether Cathedral has acquired distinctiveness in the alleged trade dress. Each one of those uses of “Amazing Woman” begins with “You are an” or “Recipe for an” indicating a descriptive use of the words. Cathedral moved for a temporary restraining order, which, unsurprisingly, was denied. Cathedral has a uphill fight here. If you want to develop trademark rights in a mark, do not use your mark descriptively. Further, present your trademark in a manner that makes it look like a trademark, e.g. in some way that is distinguished from the surrounding text. Citation: Cathedral Art Metal Co., Inc. v. Divinity Boutique, LLC, No. 1-18-cv-00141 (N.D.GA 2018). Previous PostPrevious Who is an Inventor?